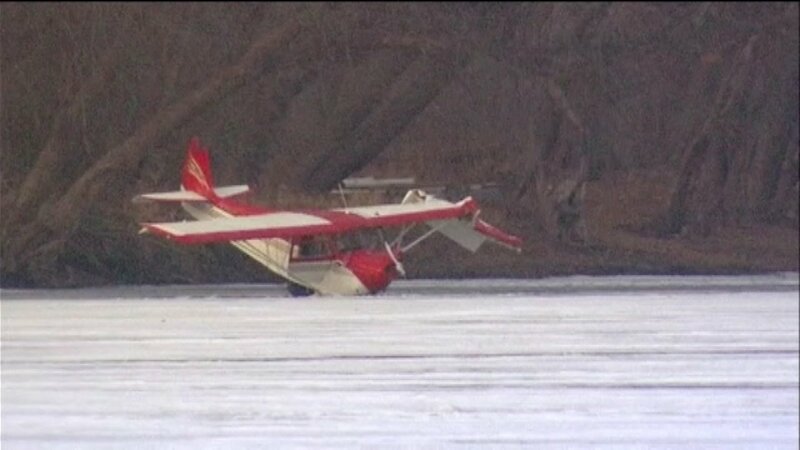 GRAND DETOUR, Ill. (WLS) -- Two people were rescued after a small plane crashed into a frozen river in north central Illinois. It happened Saturday afternoon in Grand Detour near Dixon in Ogle County. The plane hit some power lines that cross Rock River, then crashed onto it. Two people were brought to safety by an ice rescue team from Fox Lake and were taken to the hospital with non-life threatening injuries.